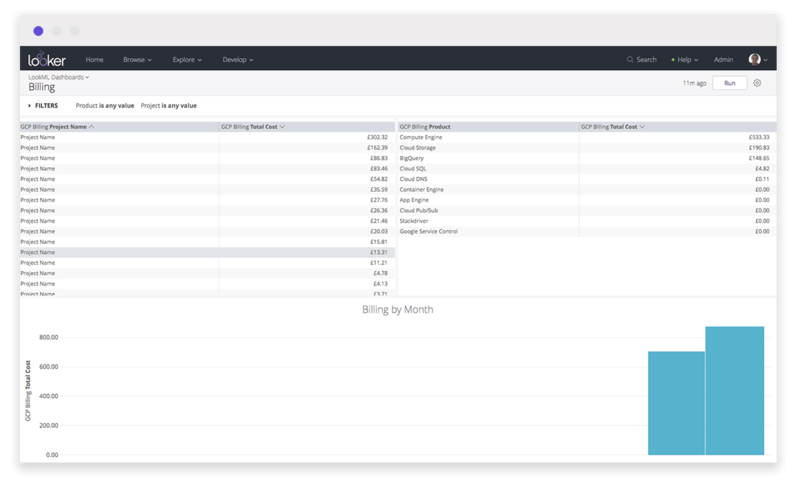 This Block allows you to analyze billing data across projects and across products and resource types, allowing you to efficiently manage you GCP Billing account. 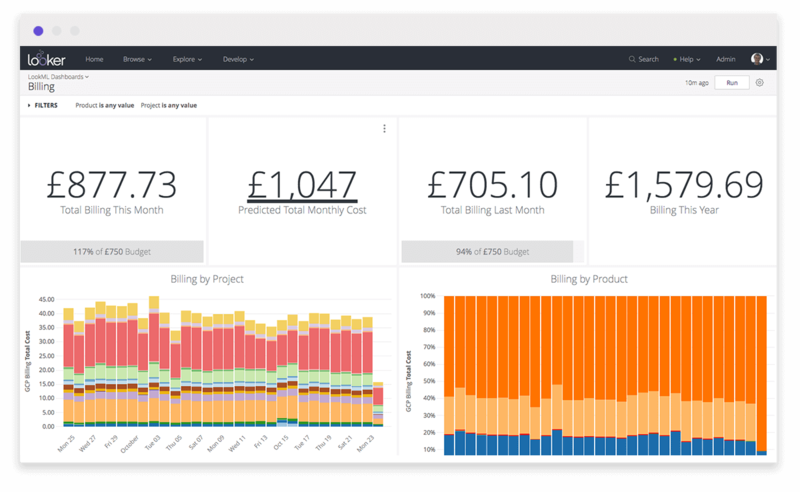 We also provide projected monthly spend based on your current daily billing, so you can take actions to control spending across your organisation. This Block offers a great starting point to get a thorough understanding of your GCP billing information. 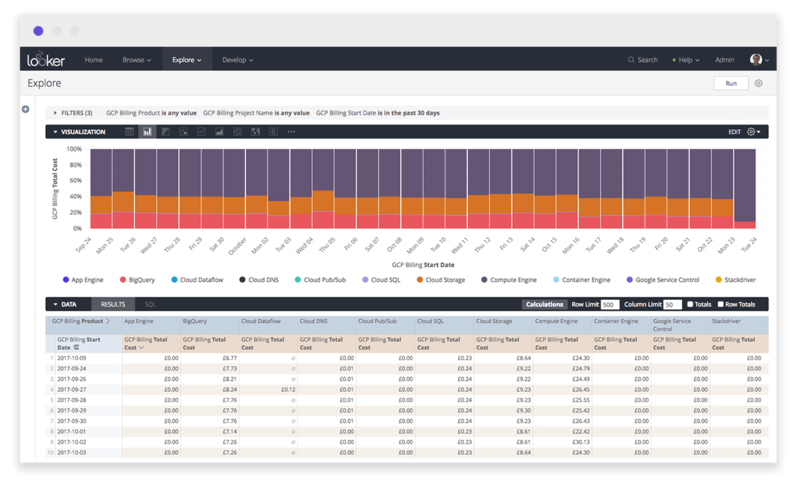 For those looking for subject matter expertise around GCP billing and tuning in general, we recommend you reach out to the folks at Datatonic, who are happy to help with guidance and services. You can reach out directly, or through your Looker analyst.